Find your dream truck today. We have an extensive inventory of trucks here at Longmont Ford. Looking for your next work vehicle or dream pickup truck? Longmont Ford is the place to be for all new and pre-owned Trucks & SUVs. 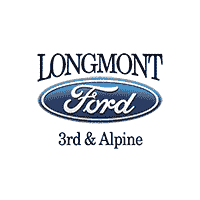 Welcome to Longmont Ford, your Longmont, CO area Ford dealership serving Longmont, Loveland, Erie, and beyond. We’d love to be your chosen Colorado Ford dealership. If you’re looking for a new Ford vehicle, used car, Ford financing, Ford parts, or service, we’ve got you covered.